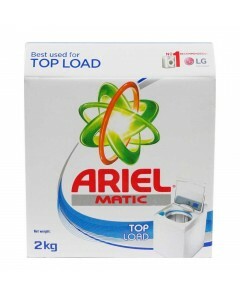 Especially designed to be used in top loading machines, Ariel Matic offers brilliant stain removal for full loads. Not only that, but it provides deep down cleaning and long lasting freshness for any load.Especially formulated for fully automatic washing machines, it has upto 2X more active ingredients vs handwash detergent. Ariel Matics cutting edge technology provides impeccable cleaning for all your clothes, and removed tough stains like coffee, ketchup and gravy.